A88077 Features: -Weight capacity: 300 lbs. 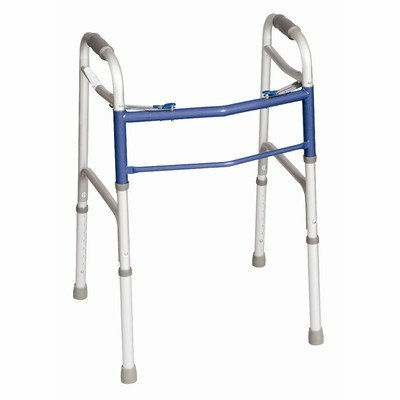 Product Type: -Standard walker. Age Group: -Adult. Release Type: -Button. Generic Dimensions: -30'' - 37'' H x 23.5'' W x 18.5'' D, 6.5 lbs. Dimensions: Overall Product Weight: -6.5 Pounds. Overall Height - Top to Bottom: -30 Inches. Overall Width - Side to Side: -23.5 Inches. Overall Depth - Front to Back: -18.5 Inches.